Our team recently surpassed 350 career transactions across the Tri-Cities — a remarkable achievement in an industry where 87% of agents fail within their first five years. As we continue to expand our Tri-Cities footprint, we invite all prospective clients to see our entire transaction history on the map below. We’ve sold homes in pretty much every residential neighborhood across the Tri-Cities, and even have a few transactions as far away as Prosser to the west and Dayton to the east. Use the controls to zoom in and scan in any direction you want to look. Transactions where we were the buyer’s agent are in blue, and transactions where we were the listing (seller’s) agent are in orange. In some cases of new construction where Google Maps doesn’t know the exact street addresses yet, the map pins pile on top of each other. In addition to the map above, please read the unedited reviews and testimonials from our past clients. They’ll give you a sense of our passion for making sure our clients have the best real estate experience in town. 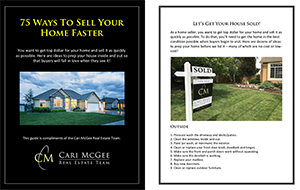 Ready to hire us to help buy or sell your home? Call or text anytime at (509) 392-4705, or send us an email if that’s what you prefer!